Tiffany's Online Finds and Deals: 3 Port High Speed Car Charger for ONLY $5.99! 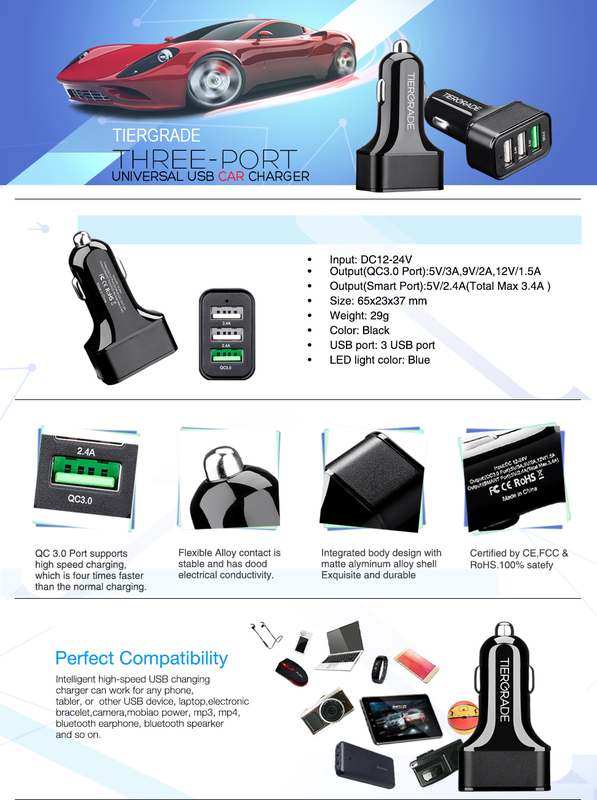 3 Port High Speed Car Charger for ONLY $5.99! Grab this 3 Port High Speed Car Charger for ONLY $5.99 after CODE: 3SDQ7AOF at checkout. FREE shipping if your a Amazon prime member. Upgraded Version: Pure copper contact effectively increases charging speed. 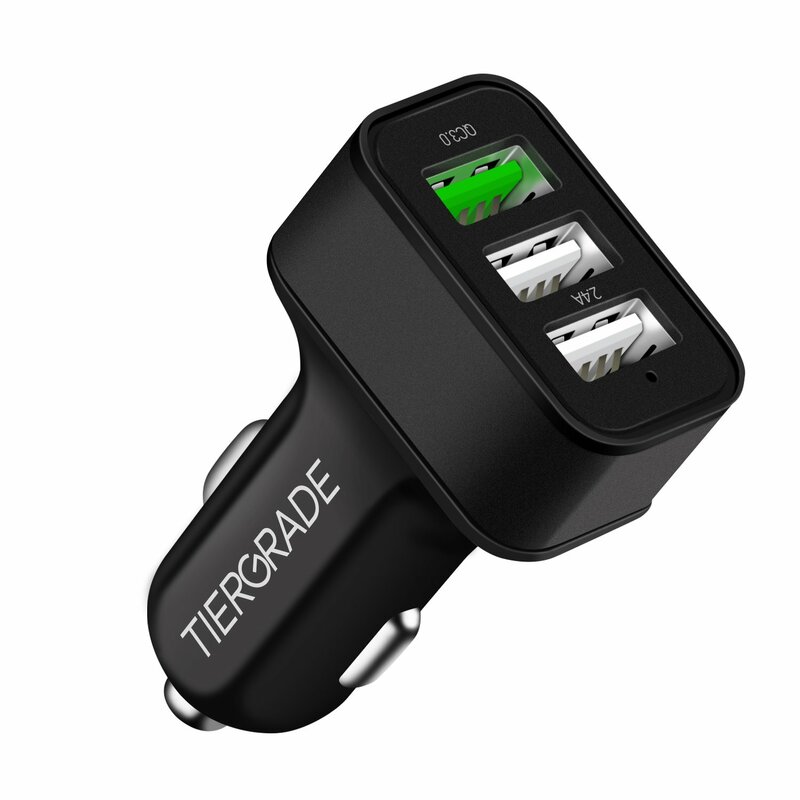 Tiergrade car charger can provide up to 7.8A output, 3.0A on one port and 2.4A on each of the others. Fashionable Design: Using top-grade aluminum alloy and premium ABS PC material make it stylish and solid. The polished smooth surface for highlighting the noble appearance can effectively prevent the scratch. International Certification: Certified by CE, FCC & RoHS. Sophisticated circuit design provides full over-current, over-charging and overheating protection to prevent damage to either the charger or connected devices. Charging automatically stops when the device battery is full. Super Compact: A nice tight fit in the power outlet, the ports are reassuringly snug and the little blue power LED is not so bright as to be distracting when driving at night. It can charge three devices simultaneously at full speed.